Living in Florida, the summers are hotter than hot! Okay, the winters can be hot, too, and the spring and the fall, for that matter! During any hot weather, we have to be especially careful with our furry friends to make sure they keep cool! 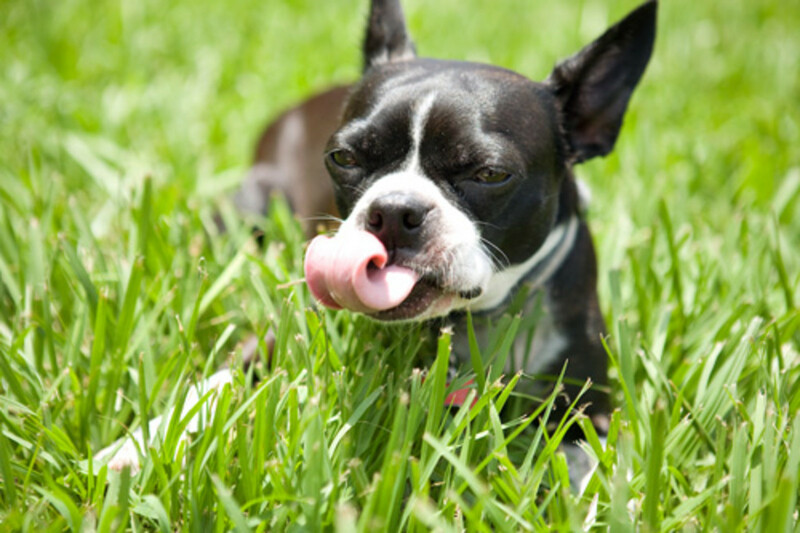 Aside from a spray with the water or a doggie pool, what other options do you have to cool down the family pet? The answer to that question is cool them down with a cold treat of their own! 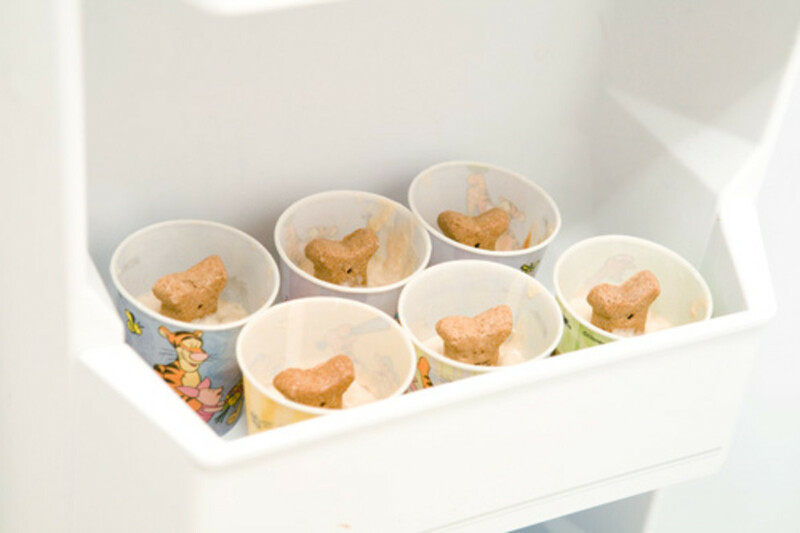 Help your best (furry) friend cool off during the dog days of summer (or anytime) with this delicious, nutritious, homemade gourmet frozen treat for dogs - Peanut Butter Popsicles (or Pupsicles as we like to call them)! 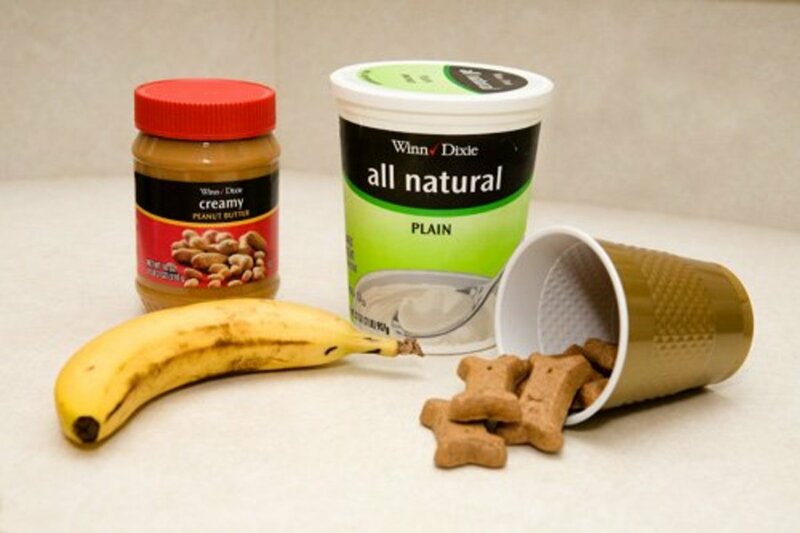 * You can use your favorite brand of dog biscuits. The photos and nutritional information reflect our favorite brand by Old Mother Hubbard which are the All Natural Classic P-Nuttier treats. I love them because they're made from carrots, oats, peanuts, and apples and include no artificial preservatives. My dog loves them because they taste great (my husband agrees). 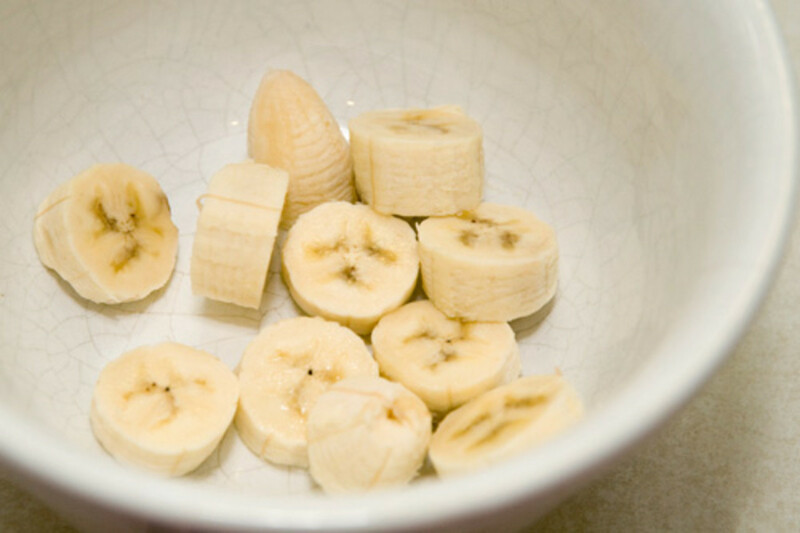 Peel then slice the banana into pieces and place them into a medium mixing bowl. 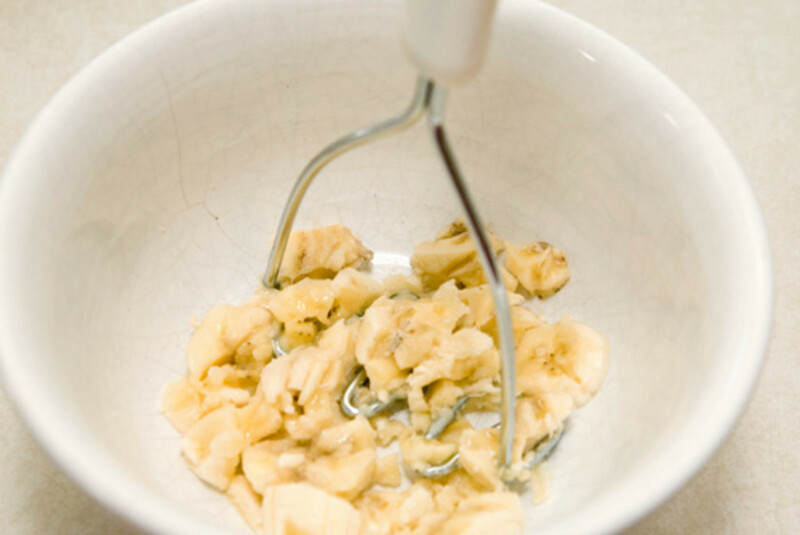 Using a potato masher (or a fork), completely mash the banana pieces until it has a pureed appearance. 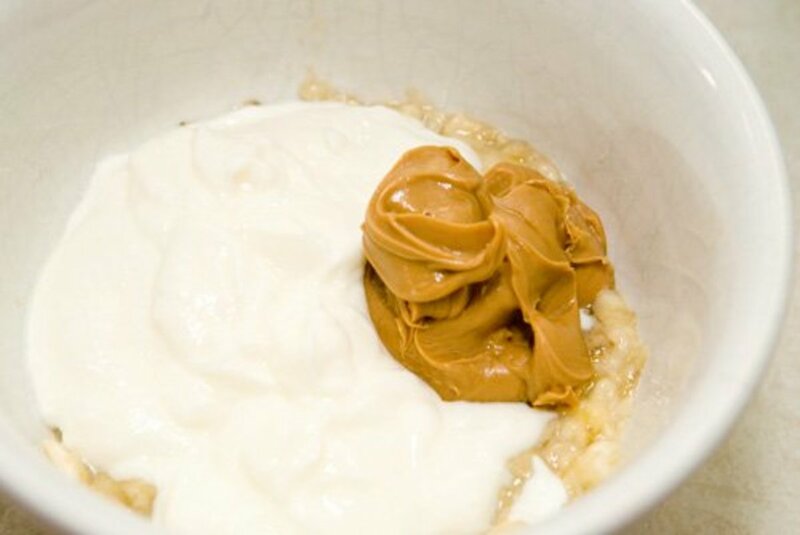 Add one cup of the plain, low-fat yogurt and 1/4 cup of the creamy peanut butter to the bowl of mashed bananas. 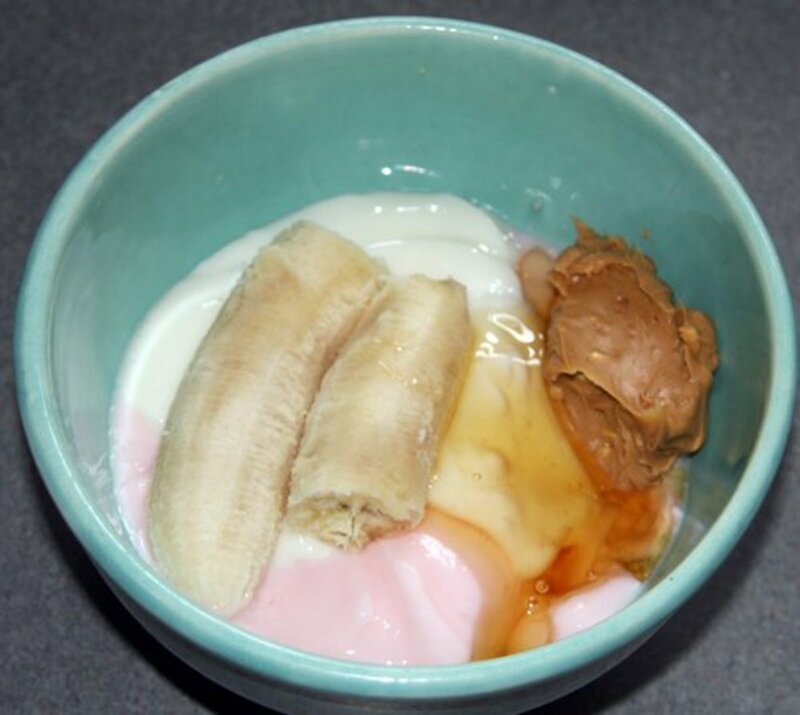 Using a fork, thoroughly mix the banana, yogurt, and peanut butter mixture together, using a fork to break down any remaining banana lumps. Set out 6 Dixie Bathroom Cups. I had only the 5 oz cups, but you can use the smaller 3 oz cups and adjust the fill capacity and number of cups as necessary. Gently tap the bottom of the cups onto the counter surface several times to level out the top of the mixture and to release any air pockets that may be in the mixture. 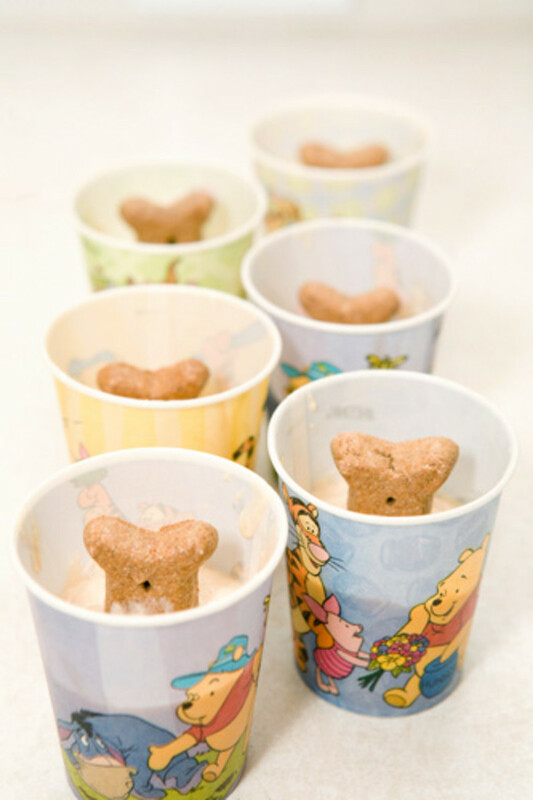 Once the cups are filled, take one of the small dog biscuits and push it about halfway into the center of the mixture in the cup. I found that you may have to slightly pull it up and push it down a few times so that the mixture completely touches all sides of the biscuit. This will ensure that your "handle" stays put for removal from the cup. 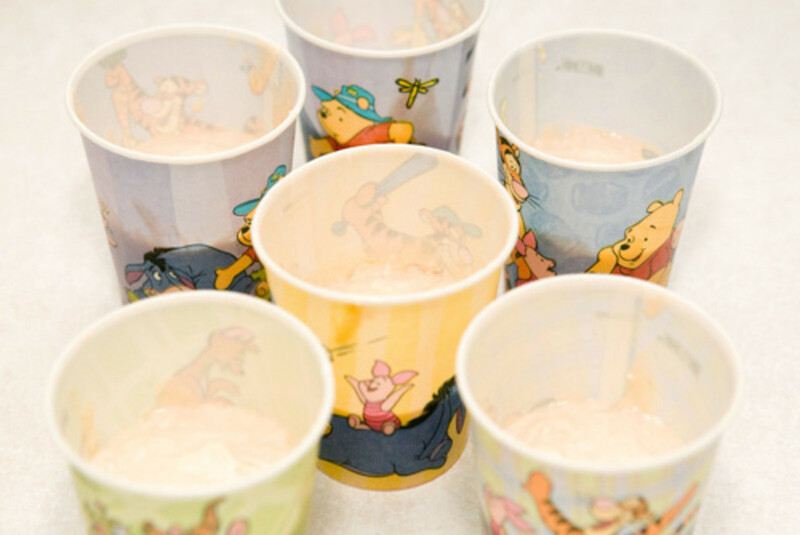 Place the cups in the freezer for 3 hours. I found that a shelf pocket on the freezer door worked beautifully. Once completely frozen, remove one from the freezer. 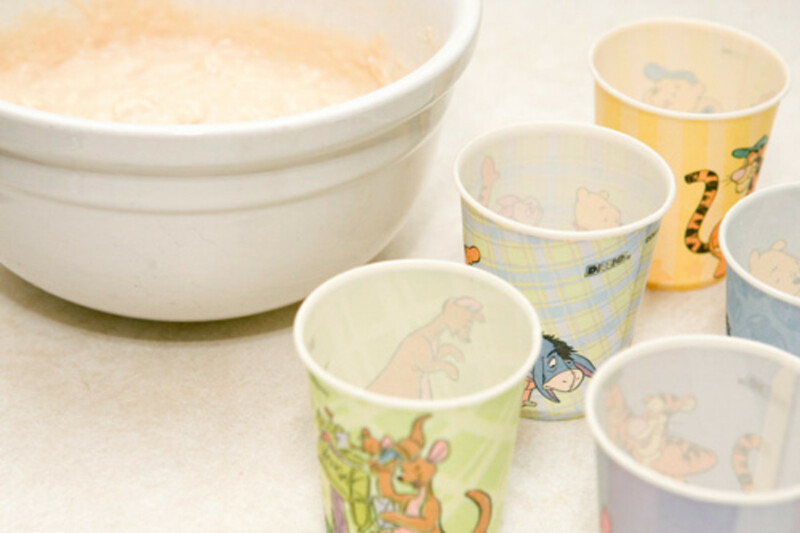 Gently squeeze the cup while rotating it to loosen the popsicle from the cup sides. 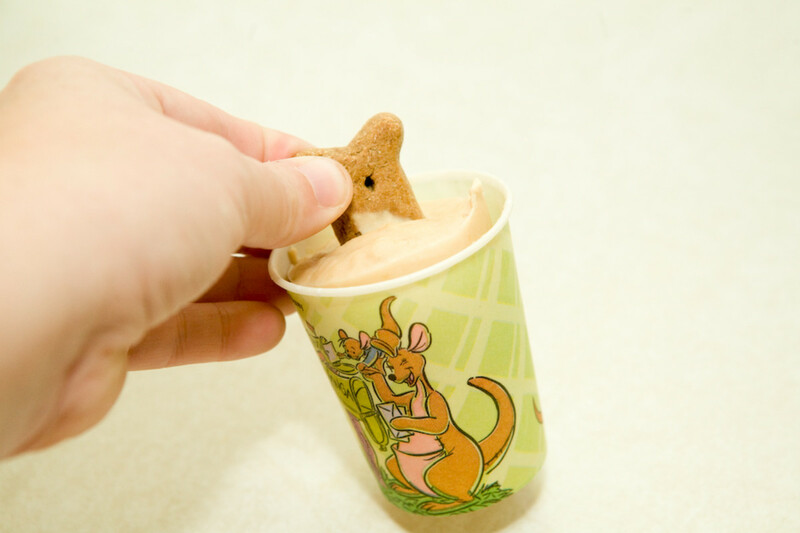 Gently pulling on the biscuit handle, remove the pupsicle from the cup and present it to your dog. 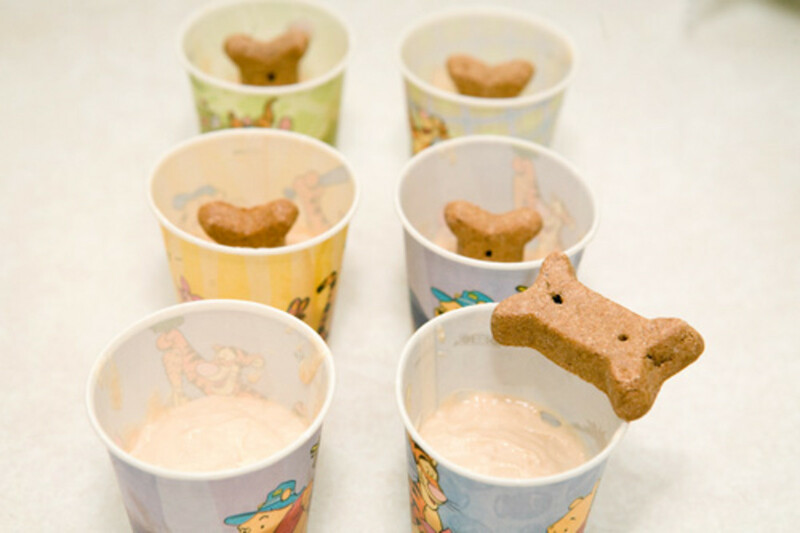 If you have a larger dog, you may want to double the recipe and fill the 5 oz cups completely. You may also find that a medium sized dog biscuit works better, too. 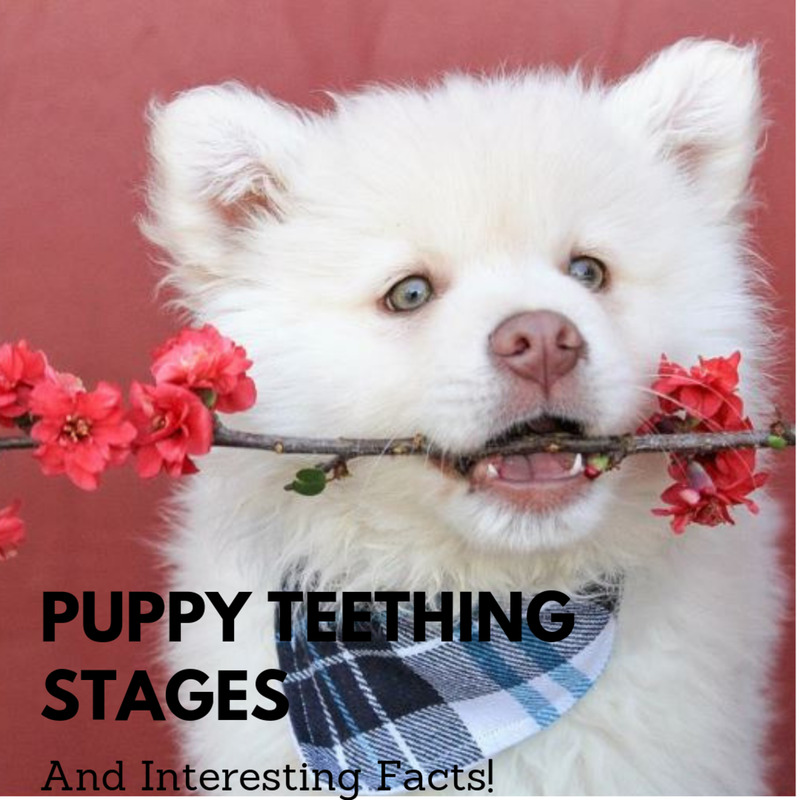 Experiment with what works for your pup! 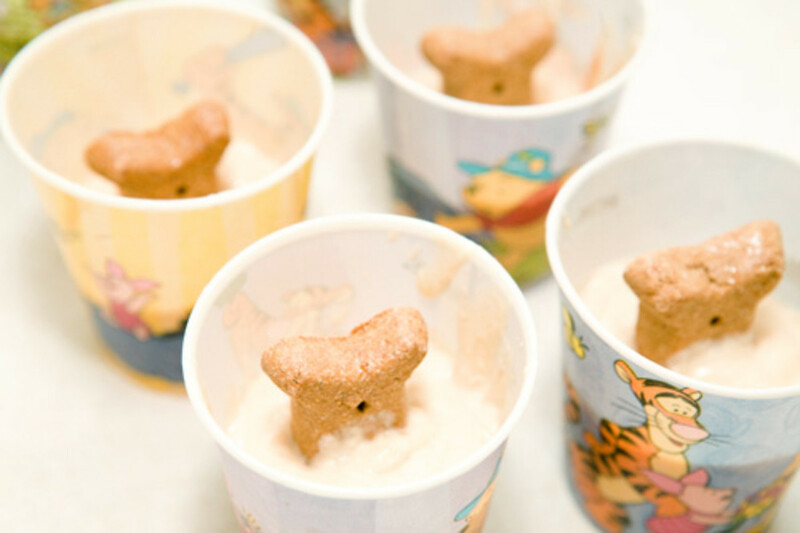 Because this is a frozen treat that will take a little time for your dog to eat, it will become messy as it melts! 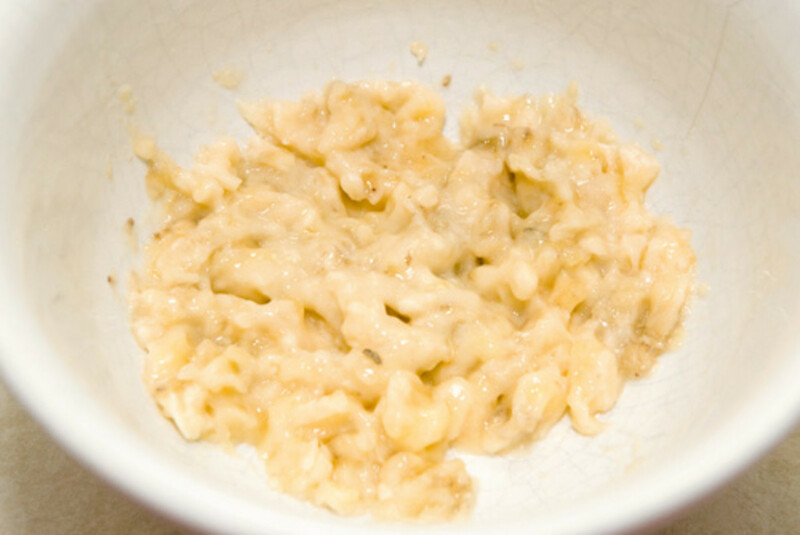 Be sure to keep your pup outside while he or she is eating this! It will cool them down and save you from some potentially messy clean-up! 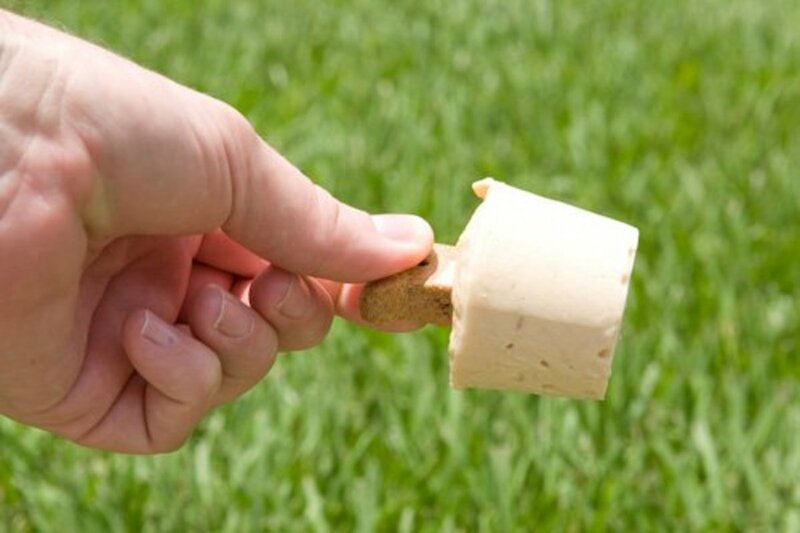 The biscuit "handle" allows you to hold the treat easily and with as little mess as possible as your dog licks away! The longer he or she takes to lick it, the longer it will keep him or her cooled off! 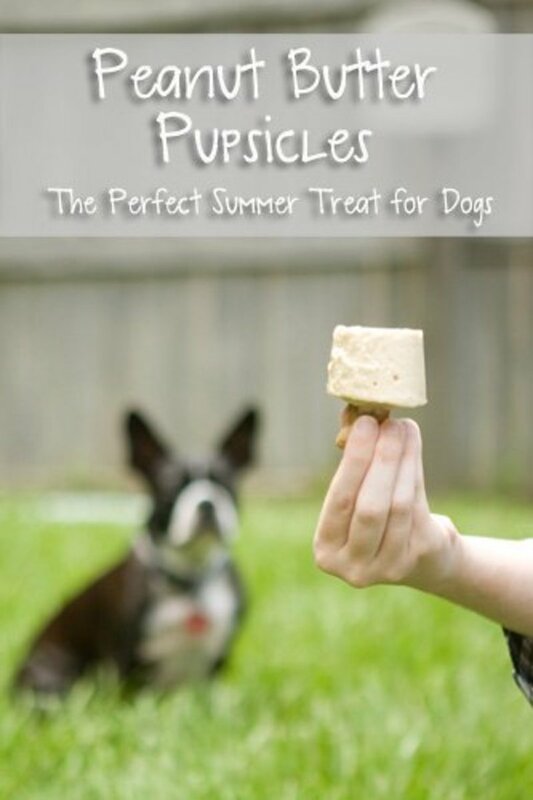 Your Dog Will Love These Pupsicles! 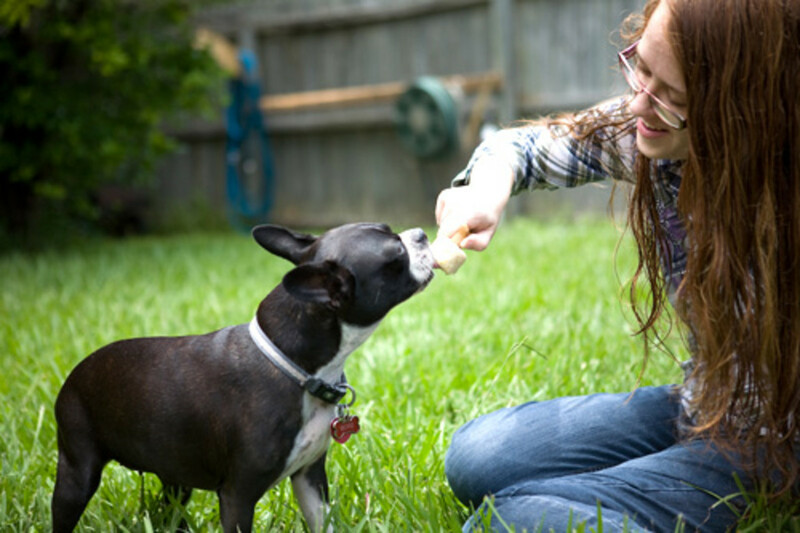 As you can see from the pictures above, these Pupsicles are a big hit with my Boston Terrier, Roxy! I hope your pups will enjoy them just as much! Leave me a message if you make them for your dogs and let me know if they liked them, too! So now the question is: How many licks does it take for your dog to get to the biscuit center of the Pupsicle pop? For our dog, Roxy, it took 5 minutes. For the rest of the world, we may never know! Our dog Carter loved this pupsicle, will keep making for him during the hot weather season. I never thought to make popsicles or pupsicles before for a dog. I want to do this now for my fiancé's dog. Thanks for sharing this recipe! 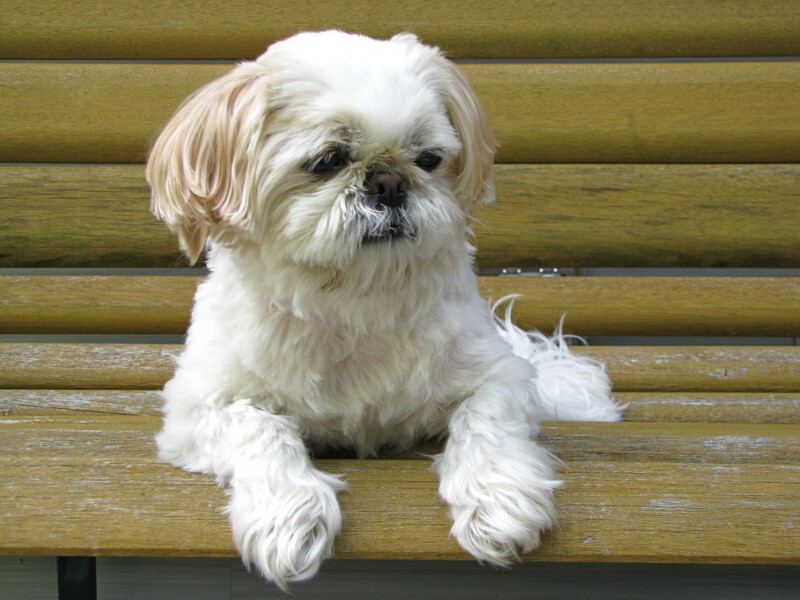 Our little Skippy is not much for the outdoors but the other dogs we have had in the past would have loved such a treat! Going to pin this to my dogs board and share on twitter. Your dog certainly looks happy! Thanks for the recipe! I will sure make these for my fur babies this summer. (If it ever gets hot this year)...oh, I am sure it will. This is such a cute idea. This is a great recipe! I'm sure that my dog will love it, especially when he needs to cool down. I'm going to try it soon, even though it's not summer right now! What a great recipe! I can't wait to try it. Oh I so love this idea!! I have a dog who will just love this!!! Hi Euphoria_Wolf! Absolutely! Any human treat can certainly be replaced for a human-friendly version! 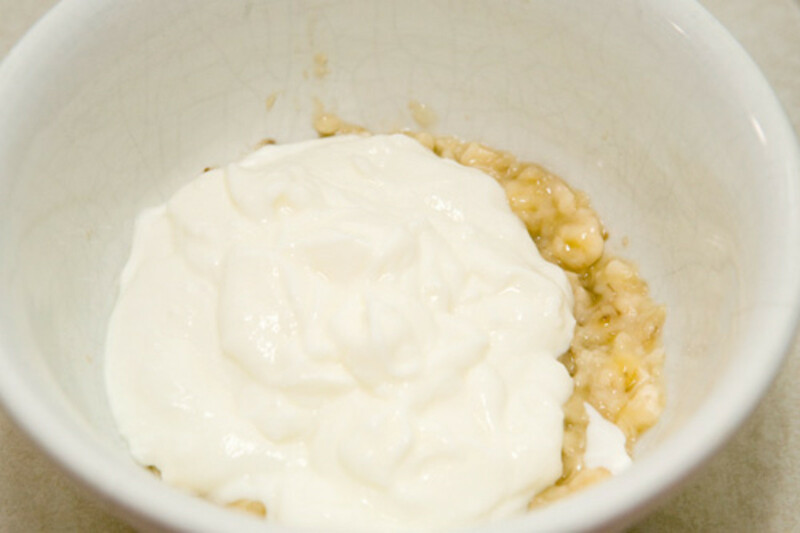 If you need it a little sweeter, you could always add honey or agave nectar! Hi Teresa! Thank you for your comments and for voting, sharing and pinning!! I hope your rat terriers love this as much as Roxy does! Great hub! We are dog lovers and have 3 rat terriers who will love this treat! Thanks for the gorgeous photos and step by step instructions. Voted up, pinned and shared! This is wonderful! I definitely voted it up. Do you think we can replace the bananas? My Chihuahua loves bananas but the German Shepherd hates them. Any substitutes allowed? Thank you, Diana, for stopping by and for voting up! It is greatly appreciated! 5 years ago from Potter County, Pa. This is a great idea and I can see how much your furry friend loves them. Voted up. Wow! Over 2,000 pins on Pinterest in just over 2 weeks! Thank you, everyone! Brian, thank you for your kind words and for voting up and pinning! I'll bet your dog enjoys these! Wow! 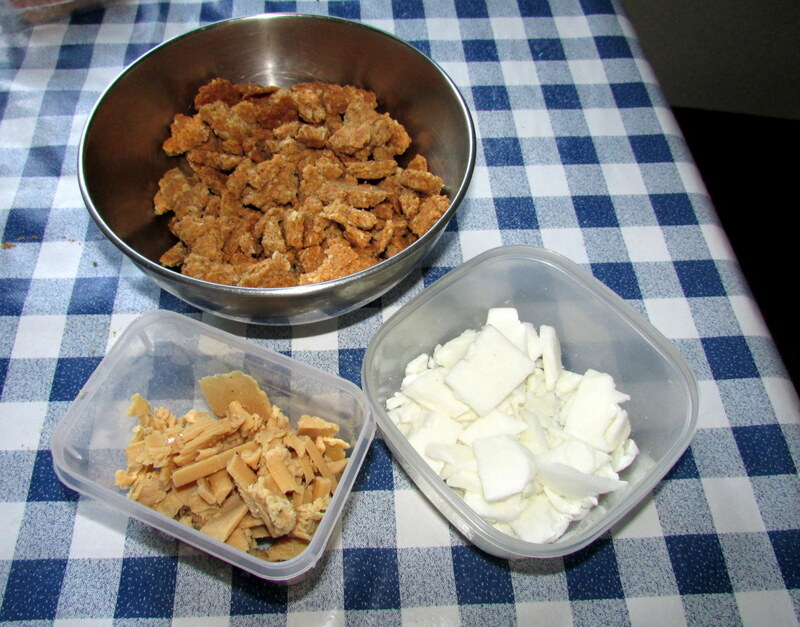 I'm going to make one for my dog and a version of that meal for myself (of course not with the dog biscuits hehehehe). Thanks for posting! Up and useful. Today, I asked Roxy if she wanted pupsicle and she started jumping and twirling (her "dance") across the house to the door! Just wanted to share! Hello, Glimmer! I'm so happy to hear you'll be making these for Max this weekend! I had to chuckle today when Roxy, who will usually walk to the pantry for a treat, instead walked to the freezer! I know she's trying to figure out how to open it to get a pupsicle out! Hope Max enjoys! Hi las81071! You're more than welcome! I know Romeo will like these as much as Roxy does! Thank you so much for passing this on to your daughter, too! Well my dog Max will be getting some treats this weekend. What a great homemade treat and easy to follow recipe. Love Roxy in the pics too! Aw, thank you, Ladydeonne! I hope that Yogi and Gypsie enjoy the pupsicles as much as Roxy did! I'd love to hear if they liked them! 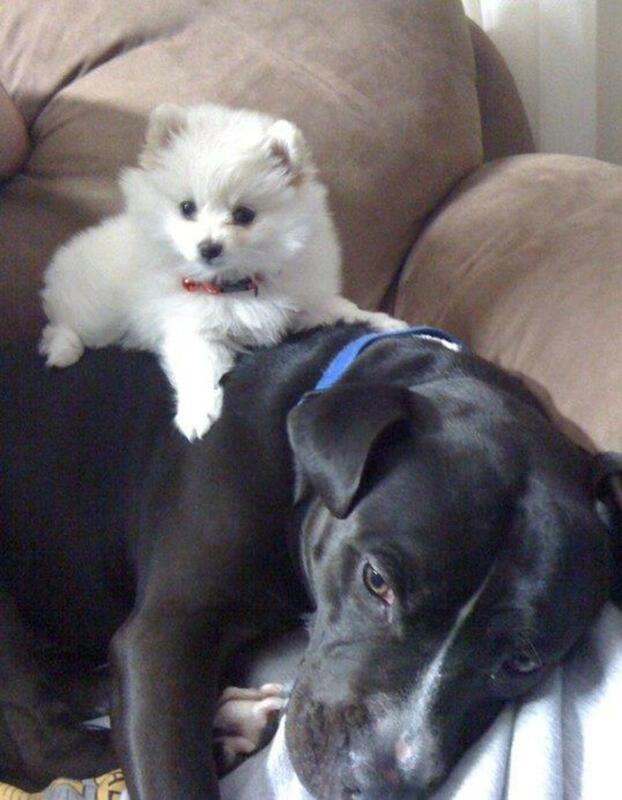 Can't wait to make Peanut ButterPupsicles for my dogs, Yogi and Gypsie. Will give them a try on Saturday. They both love peanut butter. Your Roxy is beautiful and lucky to have such an innovative and creative Mom. Thanks for sharing. Hi rose-the-planner! Thank you so very much for your kind words! They were very easy to make and I was surprised how fast they froze, too. 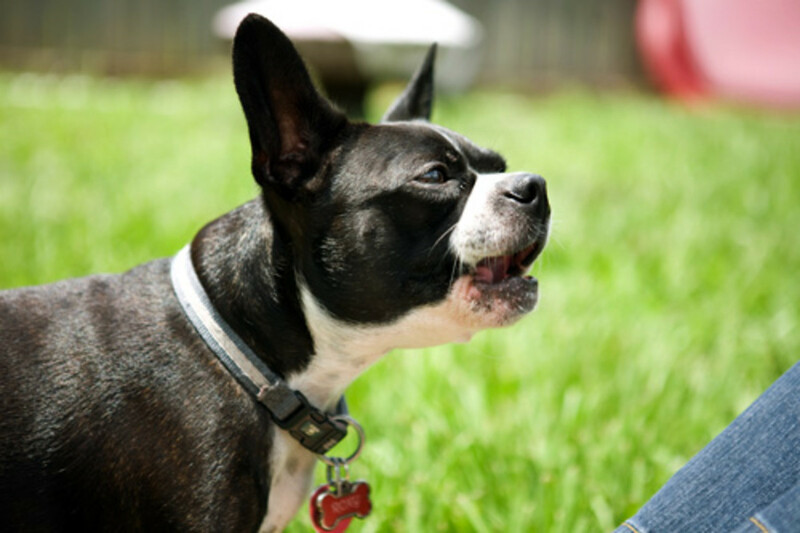 I have a special love for Boston Terriers - Roxy is my second one. My first one was named Yoda and he was appropriately named a Boston Terror because he got into absolutely everything! But they are very beautiful pups! Thanks again! Hi pinto2011, thank you for commenting! 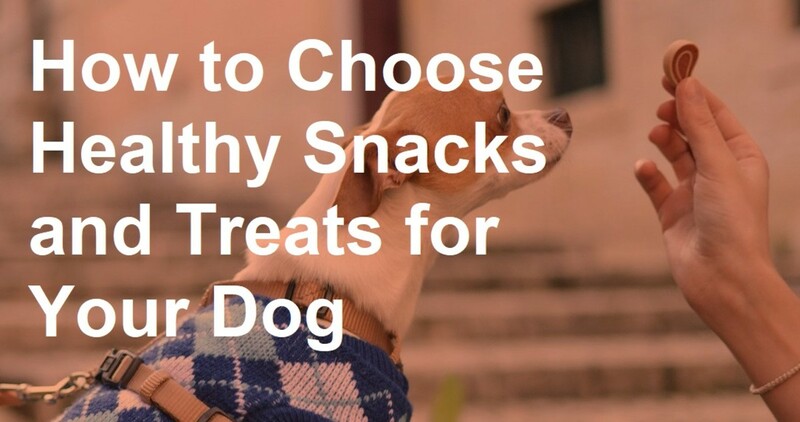 I think one of these treats will certainly make your friend's dog your friend, too! Thanks for stopping by to comment here! Hi emilybee! Thank you! I really hope that your fiance's dog loves them just as much as Roxy does! Let me know how she likes them! Hi KDeus! I can certainly feel the animal lover's caring instinct in you through this article. Certainly, I am going to feed this recipe to my friend's dog who always bark on me and I will make friendship with him. Vespawoolf, Thank you for your kind words! I hope your friend's dog enjoys them! Roxy doesn't like the doggie pools or even to be sprayed down a little with water, so I had to come up with something that would help her cool a little while we were outside. The funny thing was the more she licked, the more she realized there was a "cookie" and then she kept licking faster to get to the treat! Let me know how the pup liked it! What an entertaining and well-laid-out Hub! We don't have a dog right now, but I plan to make these for my friend's dog. Dogs enjoy ice cream so it's great to have a healthier alternative. I love the photos of Roxy...too cute. Thanks! Voted up and shared. Hi epbooks! I'm so happy that you found this helpful! 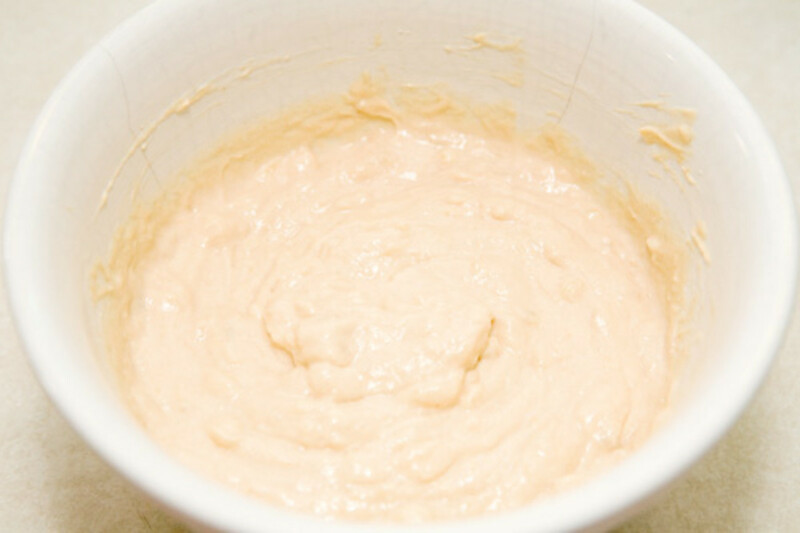 I have to admit that I've never tried Frosty Paws, but I'm glad that this recipe is a good alternative to the store bought options! I hope your fur kids enjoy it! This is awesome. I buy Frosty Paws for my fur kids, but I'd much rather make the treats myself. I am always cautious with recipes for dogs, because some foods can be toxic, but I'm happy the ones you have listed are totally fine for dogs. I've bookmarked it and may even make it today. Thanks so much- I love this idea. Voted up! Thank you, Eddie! Wow! I just looked up Caucasian Shepherd as I wasn't familiar with them and they are gorgeous dogs! I can understand why yours stays hot all the time! I hope this will be a nice treat to help cool him down just a little bit! Drop me a line if you try it and let me know if he liked it! This is a great hub. One of my dogs is a Caucasian Shepherd and he's hot ALL the time. Looks like these pupsicles might do the trick. Thank you! Voted up and useful. Cool. I'm going to have to try this! 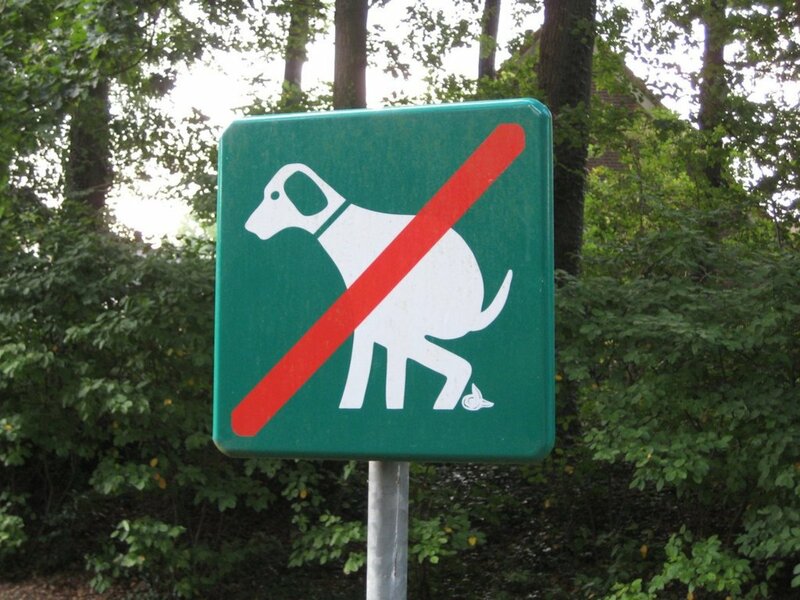 My question is, what do you do for a dog that's not going to lick it? If I know Eddie, he's going to try to eat it whole.